When you’re ready to fight aging and soften the appearance of lines and wrinkles, or if you want to lift your cheeks and fill out your lips, Botox® and fillers offer the solution you need. The team at Avante Laser & MediSpa offer Botox and a large selection of injectable dermal fillers, so they can tailor treatment to fit your aesthetic needs. Call their offices in Houston or The Woodlands, Texas or use the online booking feature to schedule a consultation and learn more about injectables. How do Botox and Dysport® work? 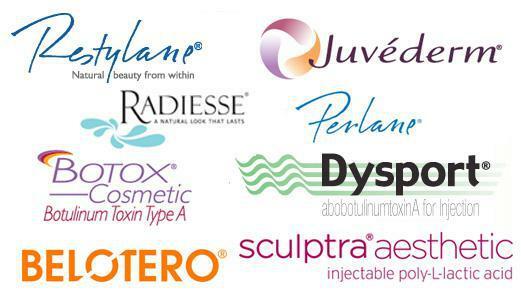 Botox and Dysport are both made from purified forms of botulinum toxin. They block nerve signals that contract muscles. When they’re injected into muscles, the muscles relax, which eliminates or significantly diminishes wrinkles. Juvéderm is a family of injectable fillers that contain hyaluronic acid mixed in a smooth gel. Hyaluronic acid is naturally produced in your skin, where it hydrates and adds volume. Which other fillers are available to treat facial lines and wrinkles? Restylane, which contains hyaluronic acid, augments, and lifts cheeks, adds volume to lips, and diminishes moderate to severe facial wrinkles, such as laugh lines and frown lines. 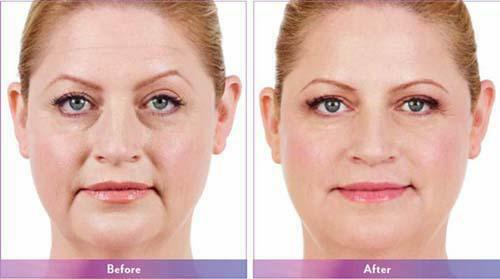 Perlane diminishes moderate to severe facial wrinkles and folds. Compared to Restylane, Perlane treats deeper wrinkles. Radiesse contains microparticles of calcium hydroxylapatite. These microspheres immediately plump the area under your lines and wrinkles, and promote collagen production, which strengthens and tightens your skin. It treats deep lines and wrinkles around your nose and mouth. Belotero also contains hyaluronic acid, but it’s thinner than in other fillers and can be injected close to your skin’s surface. It’s used to treat vertical lip lines and fine lines around your eyes. Sculptra doesn’t immediately reduce wrinkles; it works gradually by stimulating collagen production. Smile lines, marionette lines and chin wrinkles diminish progressively as fresh collagen restores your skin. When you’re ready to fight the signs of aging and find out how injectables can help you achieve the results you want, call Avante Laser & MediSpa or schedule a consultation online. What options are available to reduce discomfort and bruising experienced from Botox and fillers? Getting Botox and fillers should help you take years off your face, but you shouldn’t have to stress about pain or discomfort. At Avante Laser & MediSpa, you can feel confident that the team of aesthetic specialists have extensive experience with injecting your treatment into precise areas to minimize discomfort and bruising. Avante Laser & MediSpa is proud to offer Accuvein vein visualization technology to improve your injectable experience. AccuVein vein visualization technology helps improve aesthetic procedures by providing better vein visibility. The AccuVein AV400, a non-contact, lightweight, portable vein illumination device, provides a visual road map of the patient’s vasculature on the surface of the skin. The ability to visualize a patient’s unique anatomy facilitates vein avoidance with refined needle placement to minimize bruising during injectable procedures. You can even come in a little early for your visit and apply a topical numbing cream or ice pack to dull any stinging sensations you may feel during your treatment. One of the most in-demand solutions for discomfort offered at Avante Laser & MediSpa is PRO-NOX™. This state-of-the-art nitrous oxide system — also known as laughing gas — can help you entirely zone and out relax during your Botox or dermal filler session. An added benefit of PRO-NOX is that once you stop inhaling the gas, the effects wear off and you can safely drive home. With so many solutions to make you feel at ease during your visit, you won’t have to worry about any sort of discomfort.